July 29, 2014 bcalvanocoaching2 Comments on Weekly Angel Oracle Card Reading for July 28 through August 3. Weekly Angel Oracle Card Reading for July 28 through August 3. Join me on July 30at 1pm EST Wednesday live on my show Let’s Ask the Angels on BlogTalkRadio ! http://www.blogtalkradio.com/letsasktheangels/2014/07/30/connecting-to-your-peace-with-archangel-michael Call in at 424-675-6837 and receive a free mini reading! The show is on Itunes and download for replay at your convenience! For Monday and Tuesday we have the card, “Knight of Ariel”. The message is “There is so much to accomplish! Make a very detailed plan. Being watched over by someone kind.” As of late you have had an input of many new ideas and inspirations. 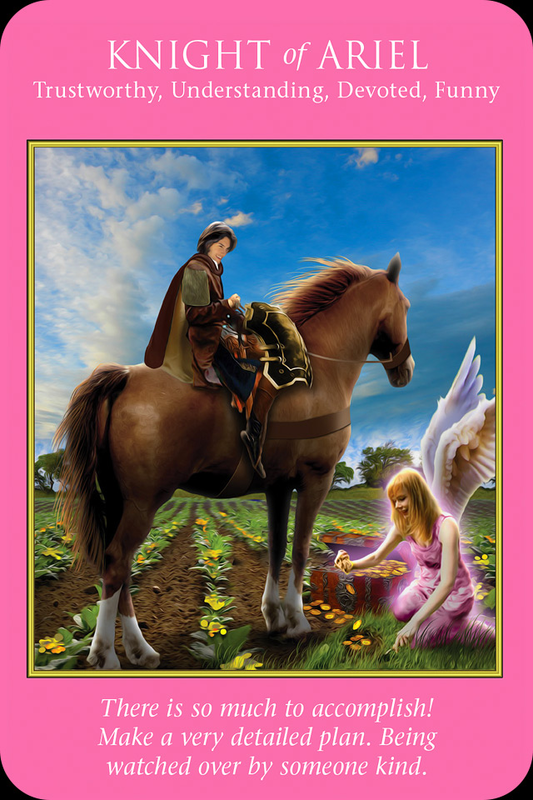 Archangel Ariel is here to assist you in having them blossom into fruition! She advises us to create a plan that has all the major steps you need to take. As you proceed more detailed information, ideas and support will come. Archangel Ariel shares our excitement about what’s ahead and what we have created so far this year. Set aside some time to write down and perhaps even create a vision board of what you want to manifest. You may even meet a person at this time that is trustworthy, understanding, devoted and funny to assist you. Archangel Ariel lets us know that she and our guardian angels are watching over us as we proceed! of Michael”. The message here is “This situation doesn’t serve you! Release your attachment to the outcome. Consider taking a more uplifting approach.” There is one situation that is close to our heart that there needs some release or letting go of our attachment to it. It could be our approach or even our fixed ideas about what the result should look like. Archangel Michael is telling us to let go and let God. Whether it is a career issue, relationship or even a health issue allow more fun and creativity to enter. Archangel Michael with his sacred vacuum is here to assist us to draw out of our bodies/aura, all lower fear based energies and emotions. This is a very power healing technique that will allow you to experience your peace. And for Friday and the weekend we have the card, “Page of Gabriel”. The message is “Follow your passion! You are ready for any challenge. 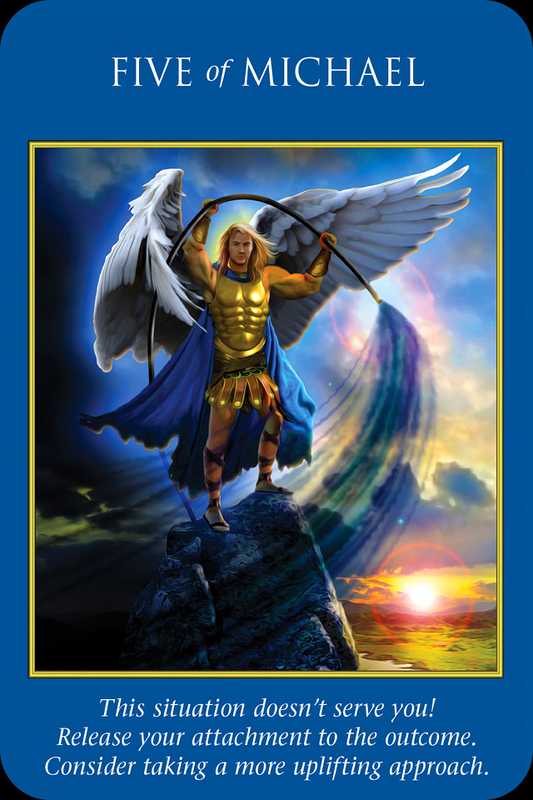 Opportunities for excitement and adventure.” Archangel Gabriel, the messenger angel is supporting us with sharing ourselves and following our deepest desires! As we allow ourselves to feel joy and excitement we attract the perfect situations and people to us. Put aside any doubts or fears, give them over to your angels as you are ready! You are more ready than you realize in fact. You may even meet someone who is energetic, brave, optimistic playful as you are feeling this way yourself. Remember any tiny action step taken without hesitation or delay shows the angels and God you are walking your talk! 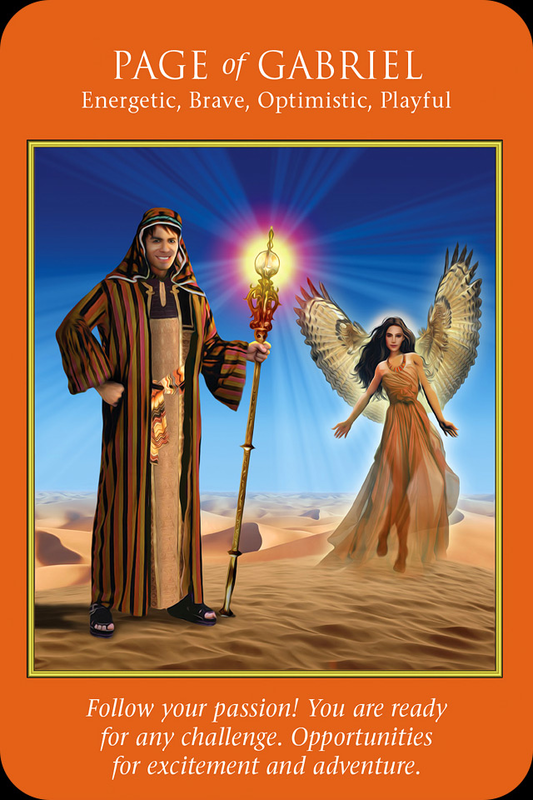 This week the angels encourage us to take some time to write out a detailed plan with all our ideas and desires. We are reminded that the angels are watching over us lending their protection and continued guidance. If there are any situations or habits that need to be released, now is the time! Allow this clearing to provide more intuition and creativity for you to emerge. At the end of the week be ready for opportunities and even adventure with what you are truly passionate about! It’s a week the angels are really coaching us to to go for it! Stay connected for information on my August online classes and workshops! Previous Weekly Angel Oracle Card Reading for July 21 through 27. Next Weekly Angel Card Reading for August 4 through 10.